In 2015 the UK based publishers The Crowood Press sent out an email to specialist dress history groups in search of authors. With encouragement from a friend I replied with an idea for a book about recreating a collection of everyday Edwardian dress using museum collections. I was asked to submit a synopsis and was then commissioned to produce a 50,000 word book to include 200 images, plus patterns and instructions, for what was to become Making Edwardian Costumes for Women Image 1. With a mixture of delight and mild panic I set about creating a workspace at home, where I made quite a lot of mess for the one year and three weeks it took to reach, and exceed, my deadline. I received an advance in sales which I mostly used to buy fabrics and pay for expenses. I ended up with 11 projects which are replicas of garments and accessories from the collections at Worthing Museum and Art Gallery, and Royal Pavilion & Museums, Brighton & Hove (Brighton Museum). Both museums hold rich collections of Edwardian garments and accessories. Many worthy pieces were rejected because they were too complicated to re-make or the fabric was difficult to source. Once museum pieces were selected I photographed them from all angles, made sketches and wrote notes. Taking measurements was a trial and error process. Initially I created a measurements sheet but soon abandoned this idea and instead recorded measurements directly onto a set of line drawings. A pattern cutter used my measurements, photographs, and diagrams to produce a set of patterns suitable for a modern shape. Sourcing fabrics and trimmings was a challenge. 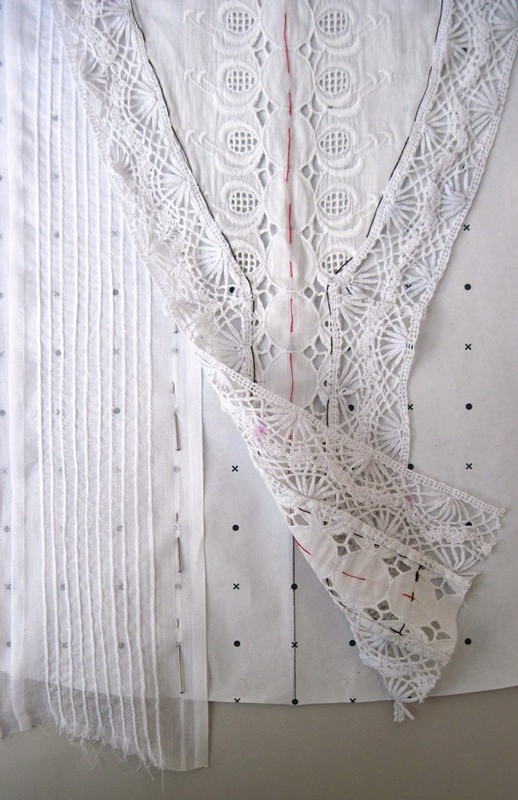 For example the blouse required delicate insertion lace which was hugely popular in the Edwardian period but is not widely manufactured today Image 2 & 3. Many contemporary fabrics lack the texture and appearance for an accurate Edwardian reproduction. The solution was to use a mixture of vintage and contemporary fabrics and trimmings. With fabrics sourced the next process was to make a set of calico toiles to check the patterns before cutting in fabric. Each project then involved sewing a section, photographing it before moving to the computer to write step-by-step instructions. I enjoyed researching the history of dressmaking and everyday fashion at Worthing Museum where the collection includes many dressmaking books and women’s journals. Having learnt the process of writing a costume book, and just as importantly how not to write one, I agreed to produce another. 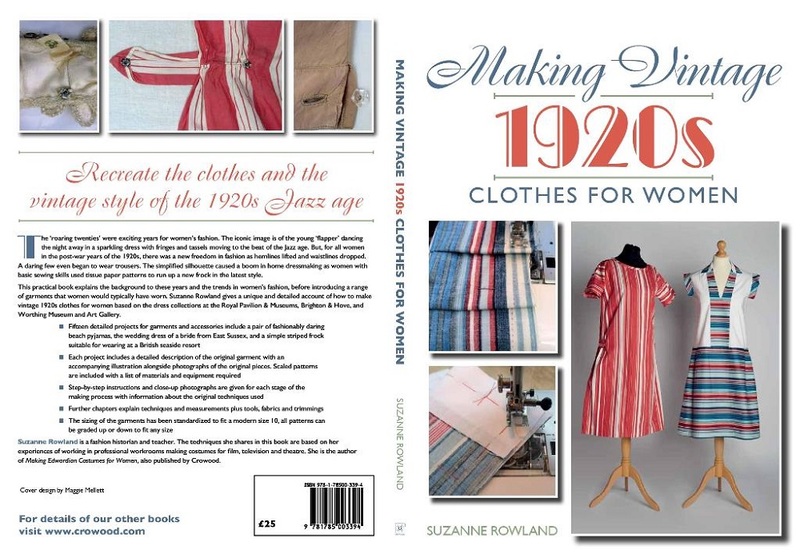 Making Vintage 1920s Clothing for Women is published in August 2017. It uses the same museum collections and format as the first book and so progressed at a faster rate Image 4. One of the joys of recreating dress is the discovery of new information. For example all dresses, from simple rayon holiday frocks to heavily beaded cocktail dresses, slipped on over the head. There were very few fastenings on clothes; even a loose opera coat only had one fastening at the waist Image 5. Researching and writing the books was a challenge but also hugely enjoyable. The downside with the first book came in the final few weeks with late nights editing, writing captions for photographs, and compiling thumbnail images for the designer. I seriously underestimated how long these tasks would take. My highlights for both books include collaborating with curators, makers and other talented people, and bringing to life clothes and accessories from the archives of two special museums. 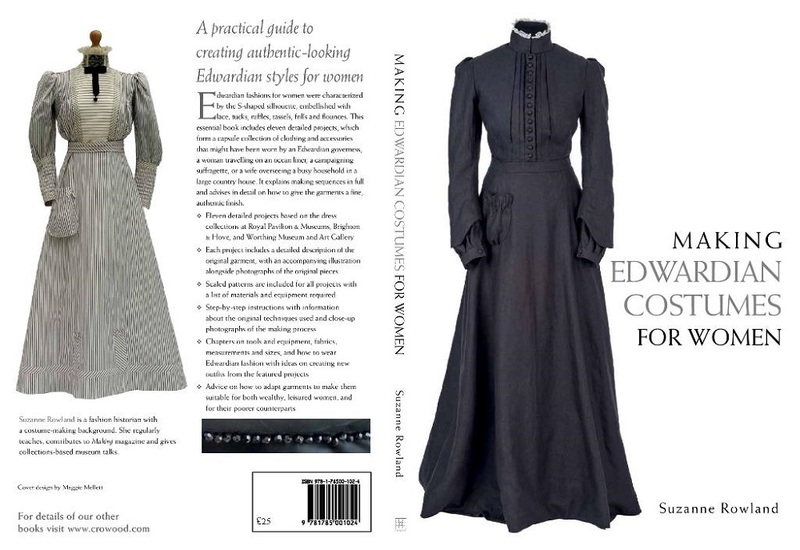 I hope the books will be useful to costume designers, dress historians, makers, students, re-enactors, and anyone else with an interest in Edwardian or 1920s fashion and sewing. 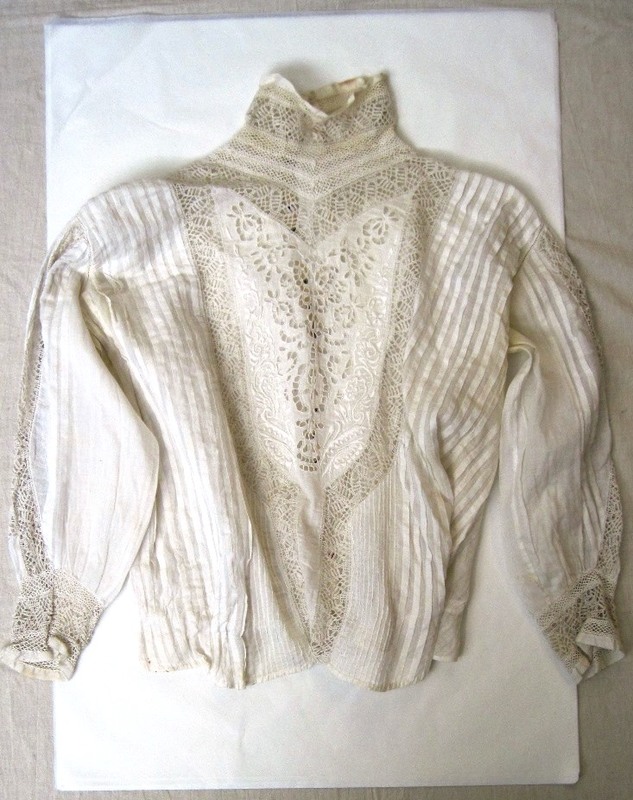 Our guest blogger Suzanne Rowland is currently a PhD student using the blouse as a case study to research the ready-made fashion industry in the 1910s. 1. Rowland. S. (2016) Making Edwardian Costumes for Women. Marlborough, The Crowood Press. 2. Rowland. S. (2017) Making Vintage 1920s Clothes for Women. Marlborough. The Crowood Press.